60s Rockabilly Era, Retro Daytime Clothing Patterns - MISSES' TAB DETAILED DRESS. 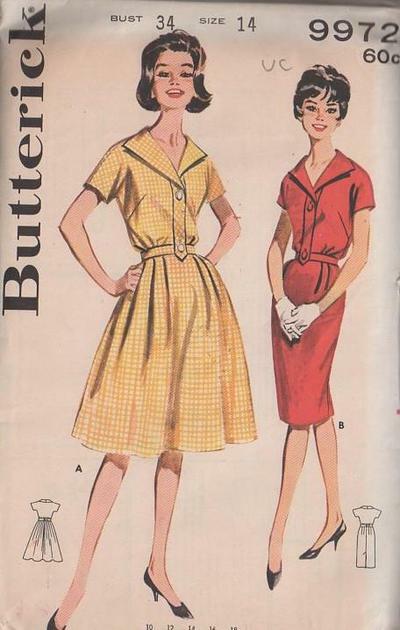 A: Full skirted dress with tab detailed front closing, roll collar, short unmounted sleeves, back buttoned self belt. B: Slim skirted version.